In this series, one of FundApps’ dedicated compliance experts covers a regulatory issue. This week, we have Lorraine Chimbga, a Compliance Analyst at FundApps, writing about double voting rights. 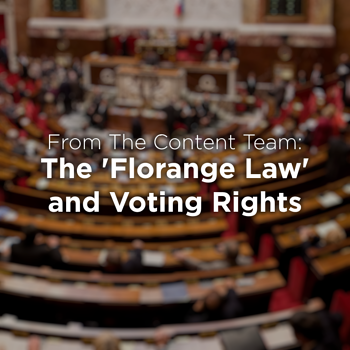 In early 2014 the French government brought into force ‘The Florange Act’, with its biggest impact being on the ‘one share is equal to one vote’ principle. The Act did this by creating an automatic regime whereby since March 31 2016, shareholders who have held shares for two years within a French company are automatically awarded with double voting rights, unless this had been specifically prohibited in the by-laws of the company. Any French company which didn’t prohibit this in their by-laws explicitly already or hadn’t opted-out by 31st March 2016 would be subjected to the automatic regime. "The government is effectively changing the law to create an enhanced share class to protect France so it can influence the way France is governed." Prior to the introduction of the Act, the French government had purchased €1.23bn worth of shares in Renault, and this allowed the French government to gain a powerful standing in the iconic French car manufacturer and in time to be able to opt for the double rights regime within Renault, cementing their control. From a disclosure perspective, there are some ways that the team at FundApps can code an adjustment for this change. Given your data model and our ability to gather the relevant information, we will develop a systematic way of assisting you in identifying companies with this provision and whether it applies to you. Clients might identify the particular lots of shares to which the double voting rights should apply. Under this option, a client would need to internally monitor the 2 year holding period, separate those lots which are conferred double voting rights, and flag them via a property in their data file. Alternatively, clients could not just separately identify the lots of shares in the affected companies, but simply supply the necessary purchase date information for those shares. Rapptr can then calculate if the 2 year holding time has been crossed. In either scenario, Rapptr will then apply the multiplier (2x) automatically in the calculation for those shares to correctly increase (double) the voting rights figure. It's important that the lots of shares would be separated or identified in some way given the likelihood of buying and selling of these shares over time. The remaining data point required would be the identification of the French issuers which have imposed such a provision in their articles. Our cloud-based service, trusted by some of the asset management industry's biggest names, monitors 400+ rules in 90+ jurisdictions. We provide Shareholding Disclosure Monitoring and Investment Restrictions services to clients across the world. If you'd like to know more, contact us about our service or book a demo.